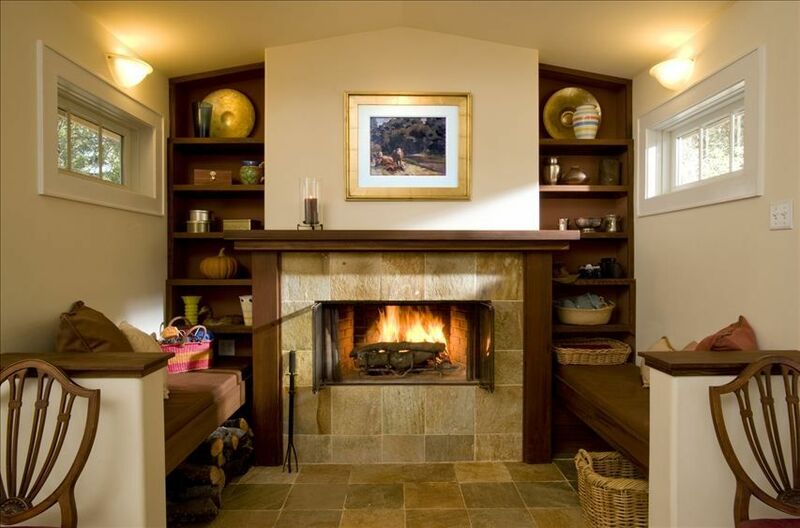 Private, eight year old, one bedroom cottage with gourmet kitchen, decks, wood-burning fireplace. Close to riding, biking, hiking, set on 13 acres in the oak woodlands of the California Gold Country. Bring your horses, bring your dogs. Seven miles from the gold discovery State Park at Sutter's Mill, four miles from the Auburn State Recreational Area and the Western States Trail, linking Auburn and Lake Tahoe. Enjoy a private weekend for two or the many recreational opportunities of the California foothills. Pasturage is available for your horses, and the property has a four foot fence for your dogs. We are just off the take-out road for rafting on the South Fork of The American River, shuttle service is available for those bringing their own boats. Sit on the deck and watch the horses graze or drive into Auburn or Lotus for a gourmet meal. The owners live on the property and are always available for advice or assistance, whether it's a restaurant recommendation or a map for mountain biking, just ask. We're here to help. We are semi-retired from careers as a graphic designer and photographer. We enjoy horses, rafting, and hiking. There are two friendly dogs on the property. We wanted to be near the rafting on the American River, and we needed a place for our horses. We also wanted somewhere that was quiet and private, yet close to things like grocery stores. You can be as active as you like- you can run, bike, ride, hike, raft, or just sit with a book and watch the deer eat my landscaping. DTV premium package with video recorder, HD, and sports package. pasture for horses, parking for trailers, lots of books, fenced for dogs. I found this lovely 1-bedroom not far out of Sacramento for a little staycation and it was wonderful. Quiet, beautiful accommodations and very private. Enjoyed it very much and hope to make it back for another stay. Did I mention the cute dogs? Always a bonus for me! The high ceilings make this cabin feel so much bigger than it is. And they've used the space well which makes it even better. The property is super quiet and the only visitors are their sweet dogs. We had an amazing time just getting away from the city. I would definitely go back. My stay was really relaxing! It’s was like being in a cabin in the woods! We saw deer, lots of turkeys and birds! I would highly recommend this place! Super cute secluded cottage. Accurate and helpful directions in description. Nice host, he was also fostering a litter of puppies in the barn, said we could socialize with them! I stayed here with my boyfriend for a long weekend while my sister was getting married in Pilot Hill. The perfect weekend! This property is so peaceful and beautiful! We absolutely LOVED our time at Craig and Jane’s gorgeous, modern cottage! It’s beautifully appointed and so comfortable. I love to cook and the kitchen was perfect. We especially liked the two (host) resident dogs, Lyle and Scout. They came over every day for treats, which Craig provided, and are the sweetest dogs ever! We had a warm fire every evening which was wonderful as we were there for the rainy month of February and looked forward to the coziness of a fire after a day of hiking. Craig and Jane were great hosts! Always available to answer any questions we had without intruding on our space whatsoever. We highly recommend this property and cottage. You will not be disappointed, we’re sure of it! Awesome! We will return. Great property, great hosts. Highly recommended. We had a great time at this property. Very cozy, very clean. We brought our dog and it was a perfect place for dog travelers if your dog is social. There are 2 very friendly on site dogs for your dog to socialize with, and lots of room to run. Quiet and private, yet close to a grocery store. We felt very comfortable and will return for another stay. The address works for GPS and maps. However, do not let your gps put you on Pilot View Drive. It does not go through. If you are coming up from El Dorado Hills, just stay on Salmon Falls Rd. until you get to Rattlesnake Bar Rd., turn left and come down to Tigerlily. The same applies when coming from Auburn. Stay on 49 to Rattlesnake Bar, turn right. Easy. Special weekend rate for Friday and Saturday is $225 plus the 10% tax.